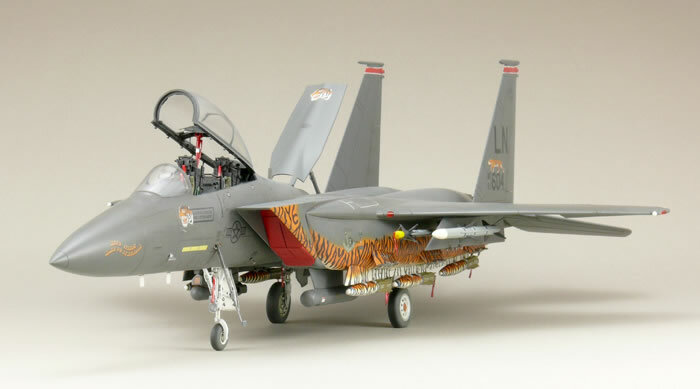 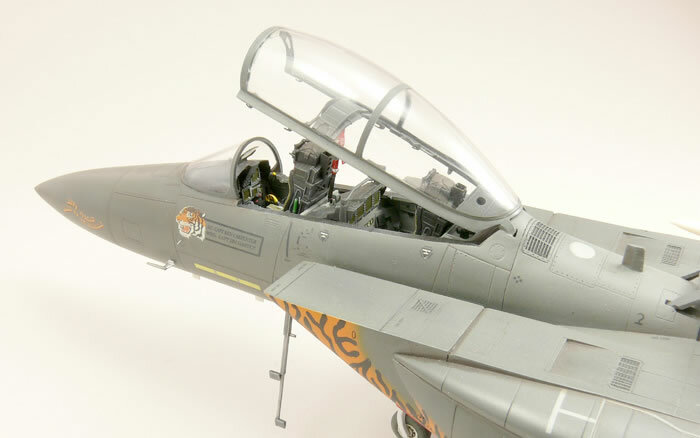 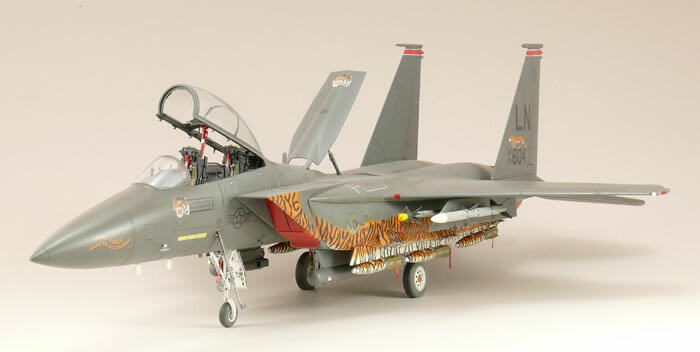 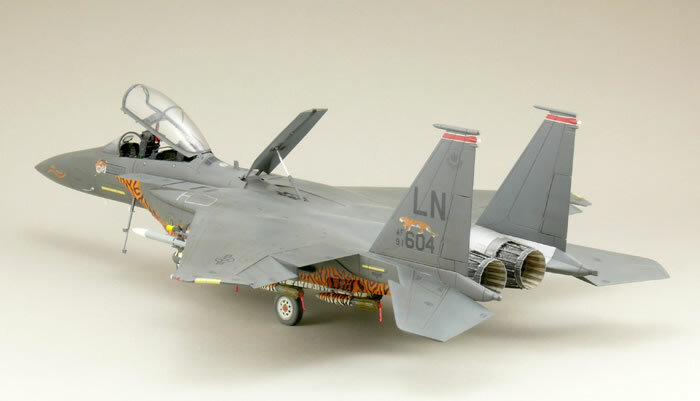 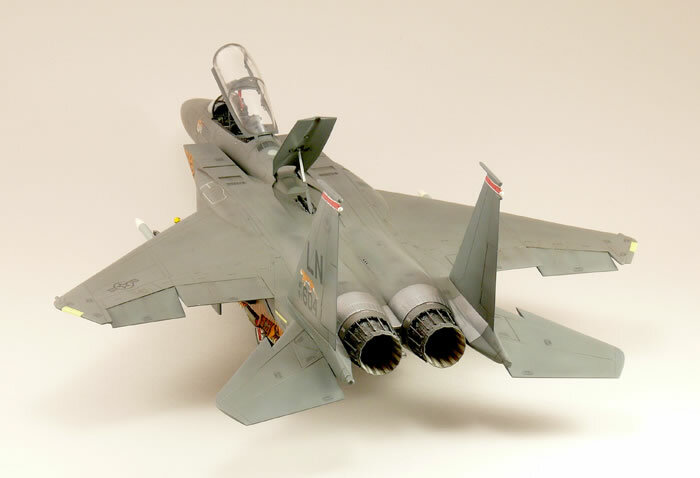 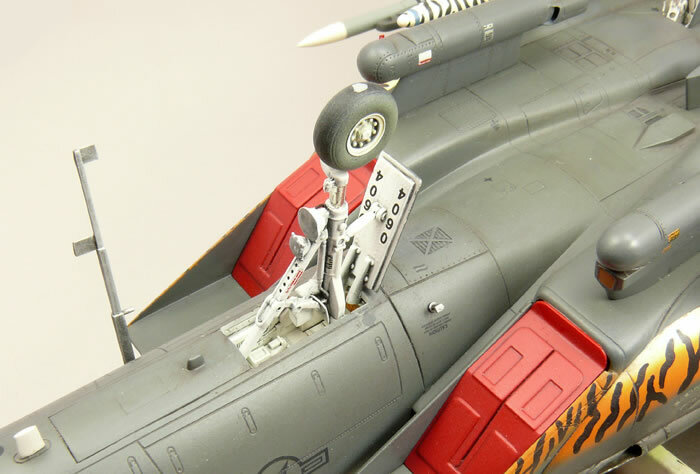 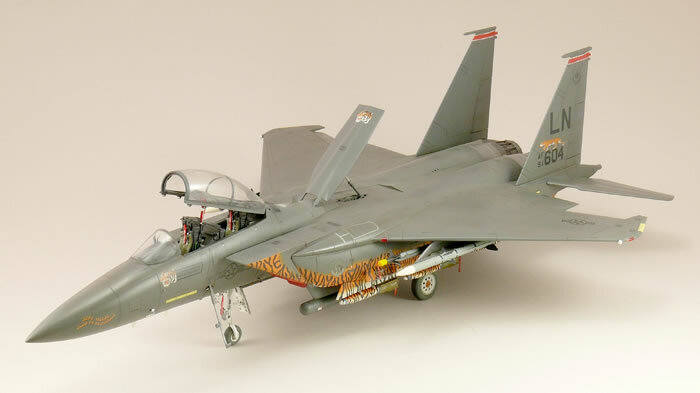 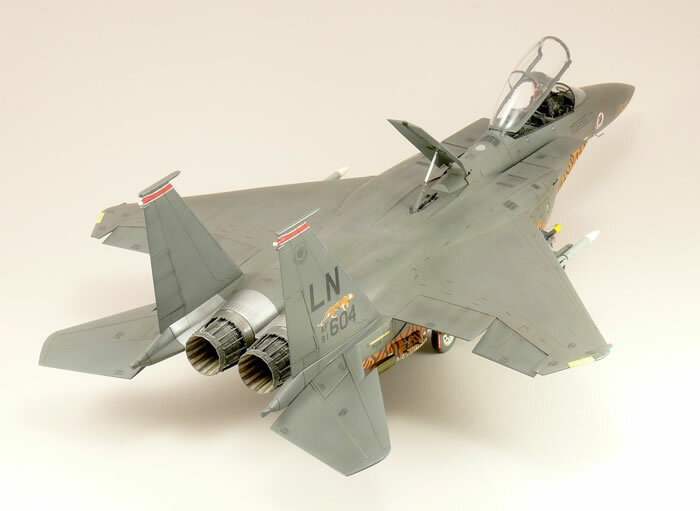 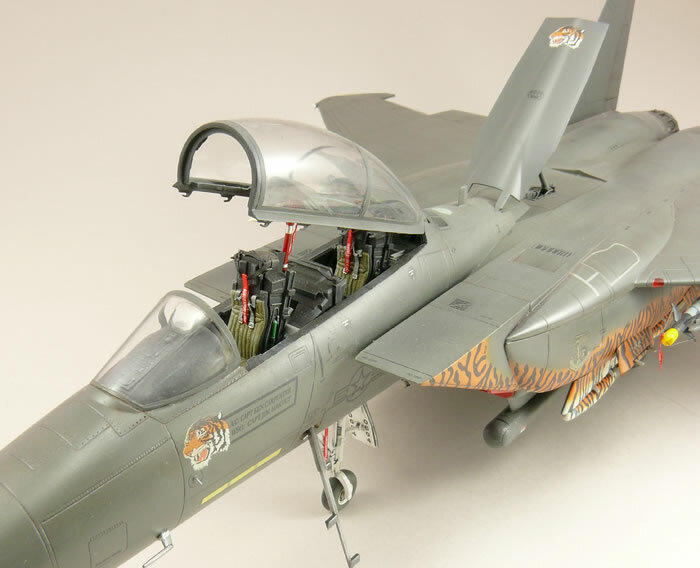 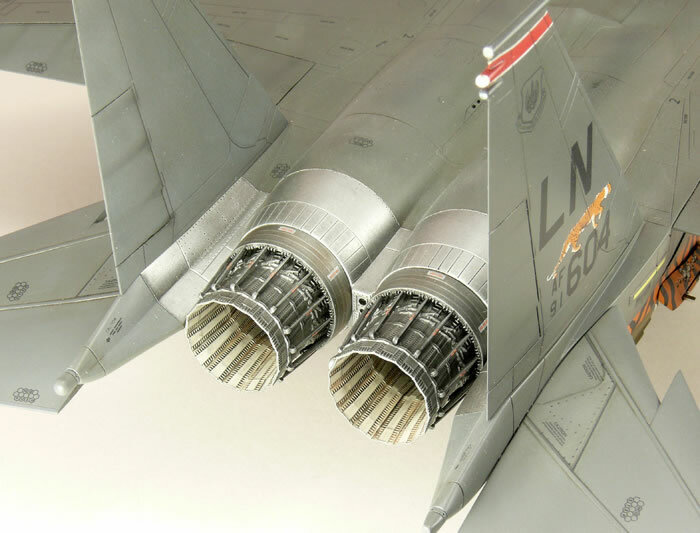 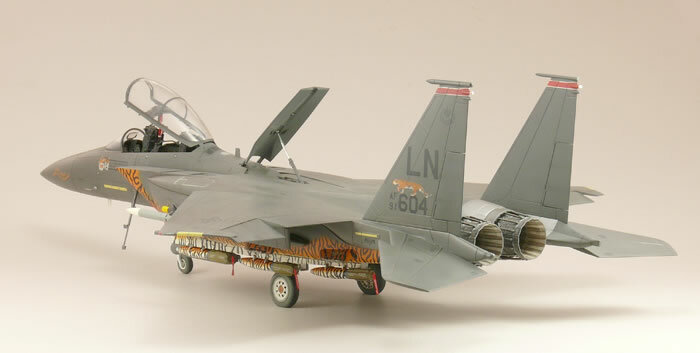 Here is my 1/48 Revell F-15E Strike Eagle kit built with minor modifications. 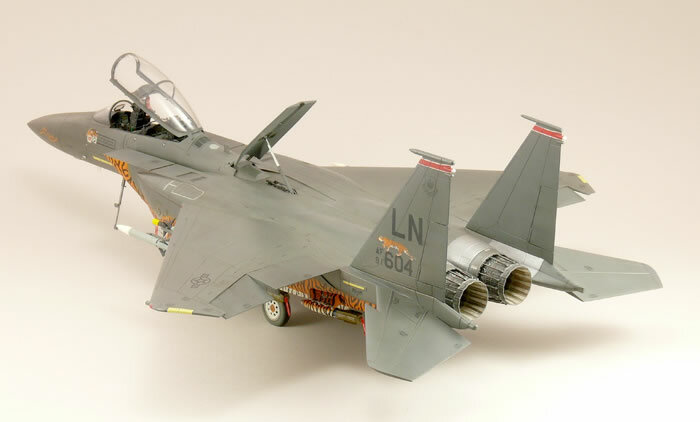 I used Eduard photo etched set. 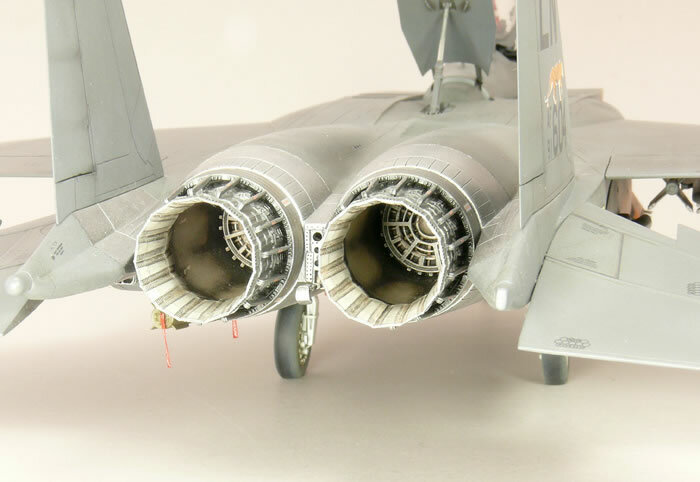 All air inlets were opened, flaps and stabilizers repositioned and light made from tinted plastic (LEGO). 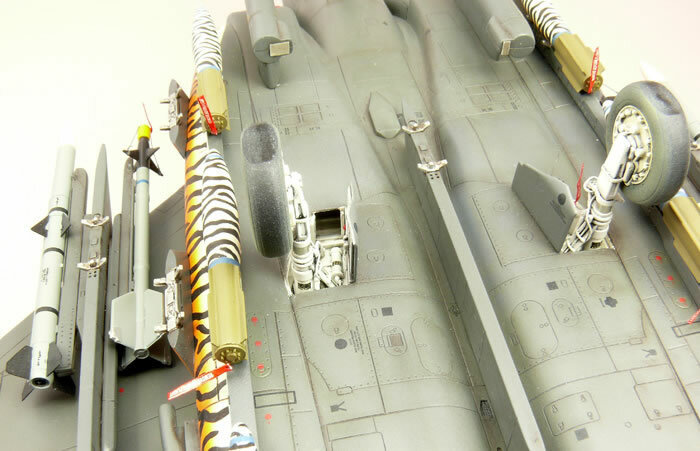 I chose a colour scheme that was only in place for a very short period of time. 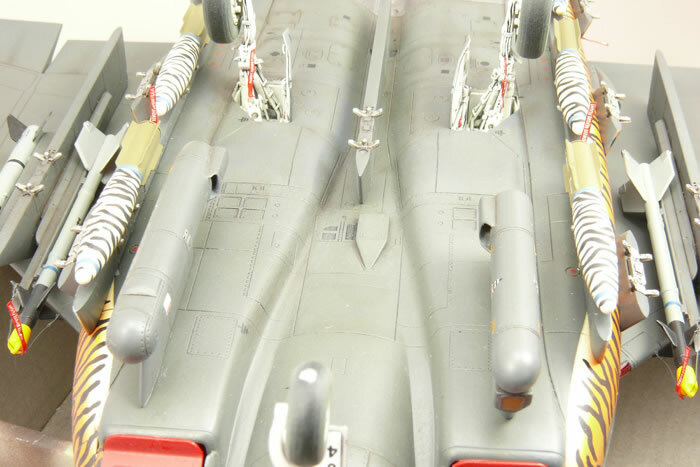 All images of real aircraft show the same ordnance. 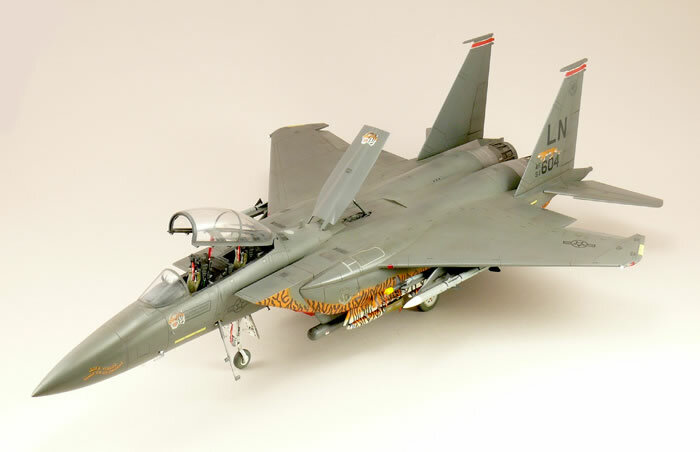 To replicate this, I modified a bomb from other kit and a friend casted six items for me. 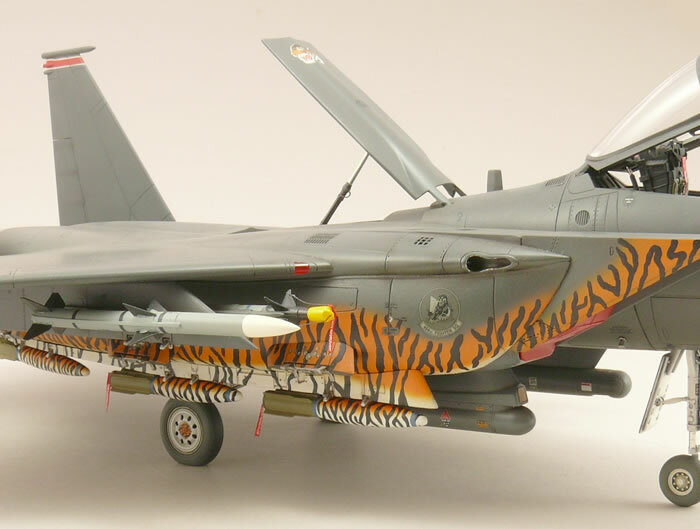 I tried kit decals for tiger stripes but on one side decals on pylons didn’t match the fuselage pattern. 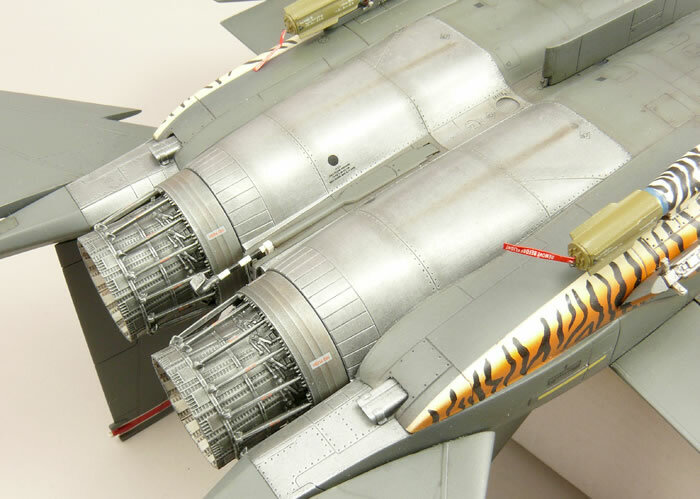 Correction did not offer a satisfying result, so I removed everything. 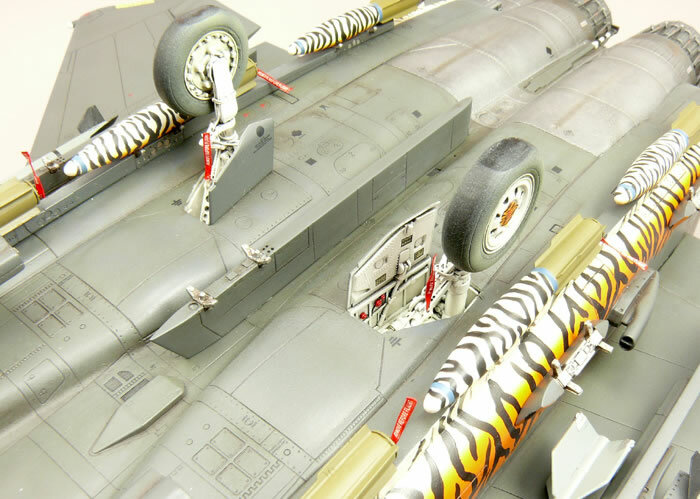 After masking white and orange were airbrushed and black stripes brushed with black paint.